If you have any questions about the EP105 information page below please contact us. 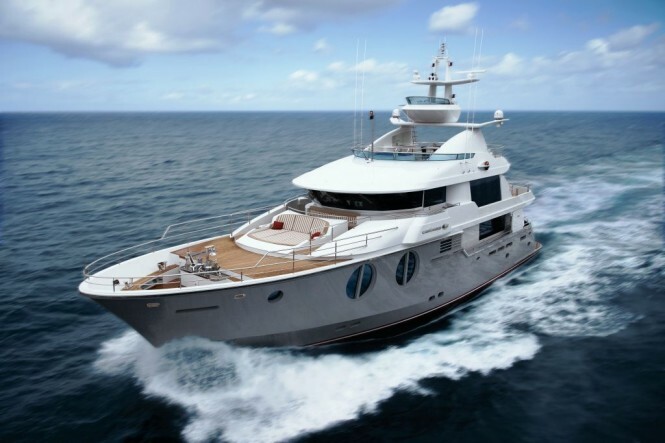 Motor Yacht EP105 is a 105 ft (32m) long long-range luxury superyacht built in 2010 by Horizon Yachts in Asia, featuring superior quality and advanced technology. 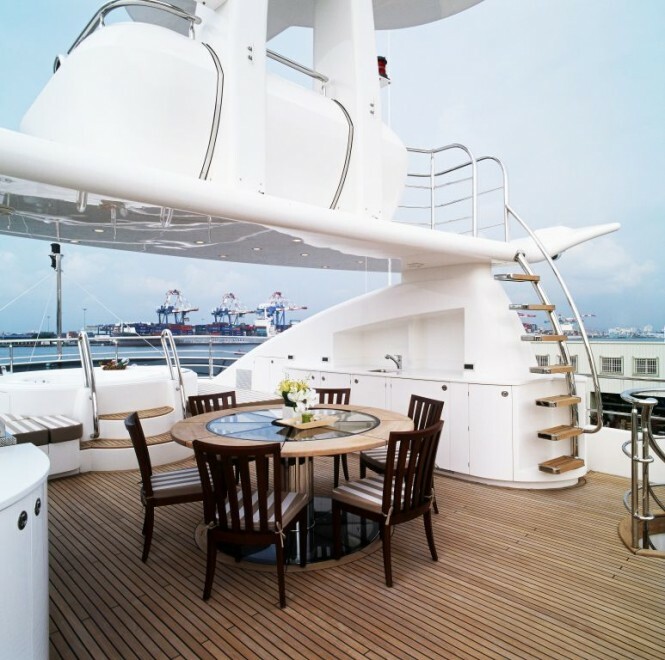 Superyacht EP 105 by Horizon was designed by Gregory C Marshall. 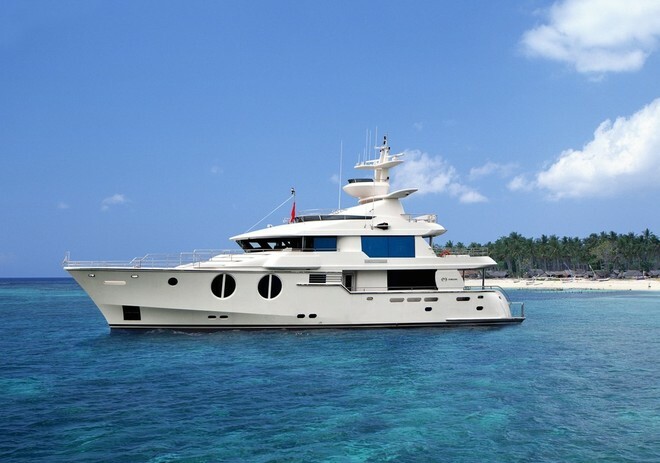 The Horizon M/Y EP105 features accommodation in five cabins to a ten guests in total, including a master suite, two twin cabins and two VIP cabins. 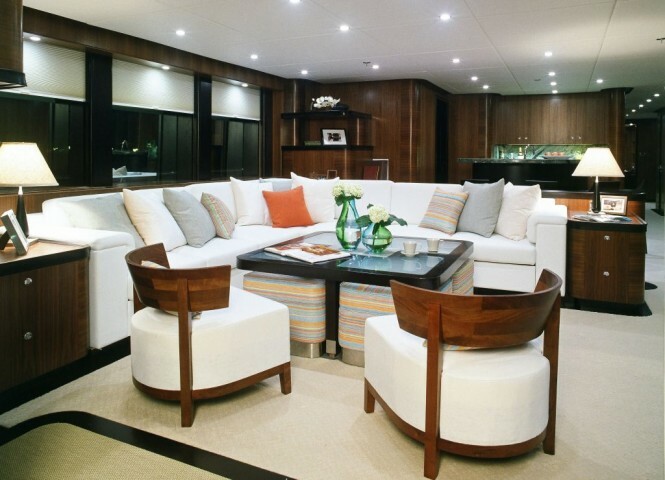 There are two crew staterooms on the lower aft deck, featuring two twin bunks. Captains' quarters are on the port side of the bridge deck and feature a queen bed. 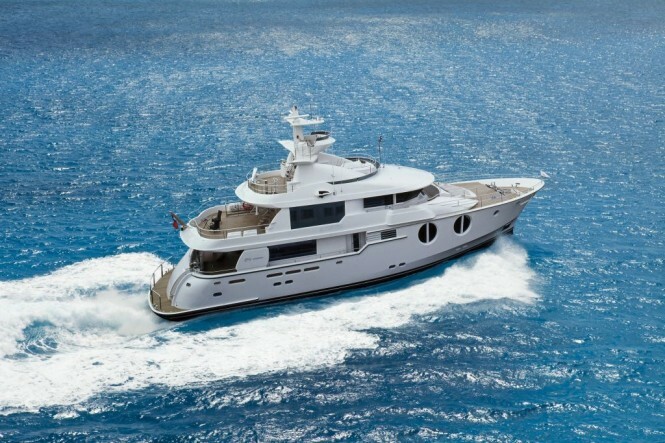 Horizon superyacht EP105 us a tri-deck vessel, built to DNV 1A1 LC R0 Yacht class and MCA LY2 Compliance to ensure the safety on the long range cruising. EP105 oceangoing, full-displacement hull utilized SCRIMP technology, a vacuum-infusion process, which is known for its low VOC (Volatile Organic Compound) emissions, and features a bulbous bow in order to maximize her fuel efficiency. Horizon EP105 explorer yacht is powered by twin 600-horsepower Caterpillar C-18A diesels and got an impressively low fuel consumption rate and a range of about 3,500 miles at around 9 knots, while at the same time providing a respectable top speed of just under 13 knots and a comfortable cruise of 12 knots. EP105 can accommodate a maximum of 10 guests in 5 cabins. 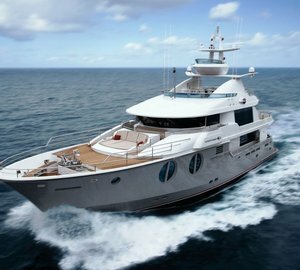 We do have available further amenity, owner and price information for the 32.24m (105'8'') yacht EP105, so please enquire for more information. The luxury yacht EP105 displayed on this page is merely informational and she is not necessarily available for yacht charter or for sale, nor is she represented or marketed in anyway by CharterWorld. This web page and the superyacht information contained herein is not contractual. All yacht specifications and informations are displayed in good faith but CharterWorld does not warrant or assume any legal liability or responsibility for the current accuracy, completeness, validity, or usefulness of any superyacht information and/or images displayed. All boat information is subject to change without prior notice and may not be current.